Cool! 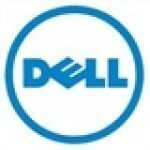 Save an average of 20% on Dell Financial Services (Canada) with 19 Coupon Codes, and 3 Deals! This website sells Dell computer products such as desktops and laptops. Details: 25% Off Dell Optiplex Desktops. Ends 4/30/2013. 20% off already heavily discounted open box computers. ends 11/27/2012. Details: 20% Off already heavily discounted Open Box Computers. Ends 11/27/2012.